A Heat Warning has been issued for Mississauga. Outdoor pools will be running on extended hours. Find tips on how to stay cool here: Find locations and tips on how to stay cool here..
We have 7 outdoor and 11 indoor pools that offer a variety of aquatic programs and drop in swim times. Most of our pools include diving boards, slides, water toys & mats, day lockers, viewing galleries, change rooms and showers. Find one that's right for you! When extremely hot temperatures are forecasted for the GTA, the City of Mississauga offers residents places to stay cool. These include visiting one of our swimming pools, spray pads and/or community centres. Applewood Pool has limited on street parking. Additional parking is available at Dixie Curling Club on Palstan Rd. and at Dixie Public School on Flagship Drive. 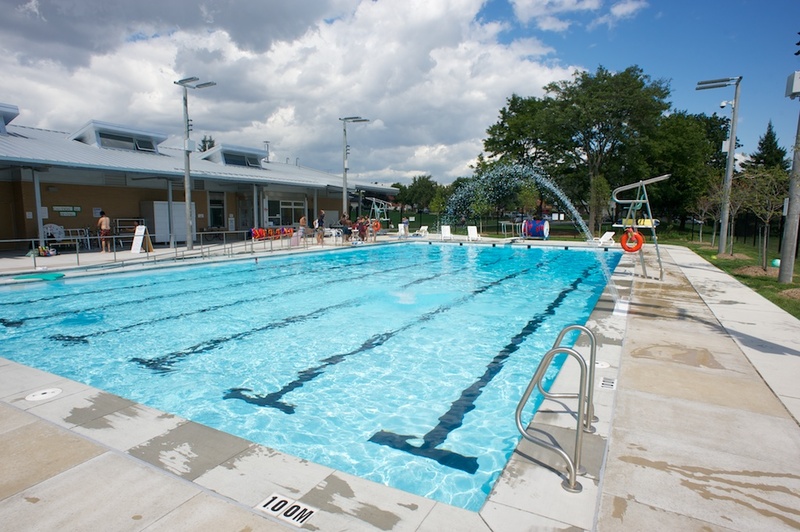 Cawthra pool is a 25 metre, 6 lane, rectangular shaped pool located in the Cawthra Secondary School adjacent to the Cawthra Community Centre. The pool entrance is located on Atwater behind the school. 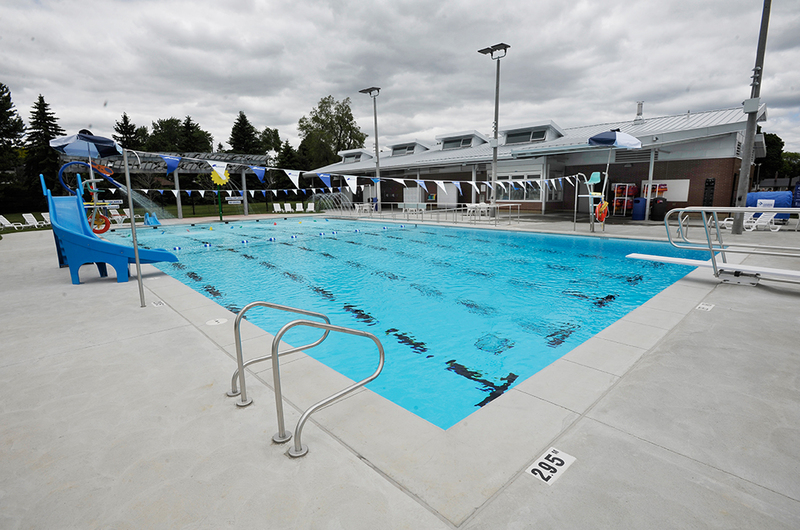 Clarkson Community Pool is a 25 metre, 5 lane, rectangular shaped pool located in the Clarkson Community Centre. Features include a diving board, basket ball net, deep end slide, spray features, accessible ramps, a warm water therapeutic pool with hydro bench, male, female and family change room with day lockers. Motorized wheelchair-to-water lift available for entry into the main and therapeutic pool. In the family change room, there is a available a fully accessible change room with a ceiling lift and height adjustable change table. 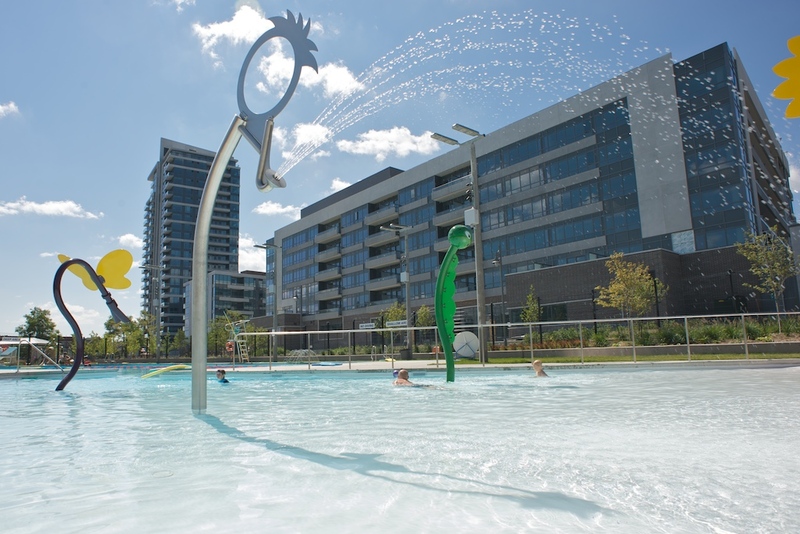 Erin Meadows pool is a 25 metre, 6 lane, rectangular shaped pool with a toddler’s play pool and viewing gallery located on the deck. A favourite feature is the Tarzan rope available for use during Fun and Family swims. Glenforest Pool is a 25 metre, 6 lane, rectangular shaped pool located in the Glenforest Secondary School. The pool entrance and parking lot are located behind the school and may be accessed by Fieldgate Drive. 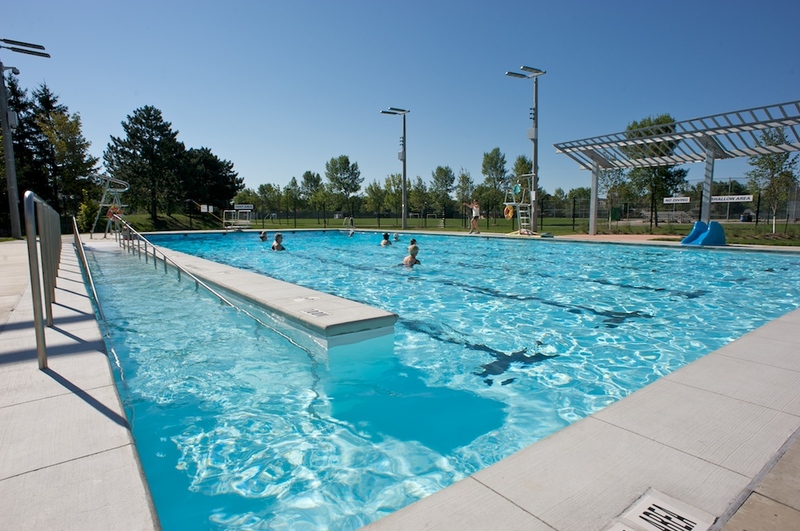 Huron Park Pool is a 25 metre, 6 lane, rectangular shaped pool and Mississauga's deepest with a 12 ft. deep end. Huron Park Therapeutic Pool is beside Huron Park's main pool. The shallow and warm water is ideal for people in post-rehabilitation or who wish to include a gentle but effective exercise program into their lifestyle. Features include: an access ramp, a motorized wheel-to-water lift for entry into the pool, adult size six-point sling and chair sling, a private change room with a ceiling lift, adjustable height change table and wall bar. There is also a washroom equipped with a ceiling track sling lift, vertical pole and wall bar. Malton Community Pool is a 25 metre, 4 lane, rectangular shaped pool located in the Malton Community Centre. Features include 2 elephant slides, a diving board, accessible ramps, a warm water therapeutic pool with hydrotherapy bench. Male, female and family change rooms available with day lockers. A tippy bucket available for use during Fun and Loonie swims. 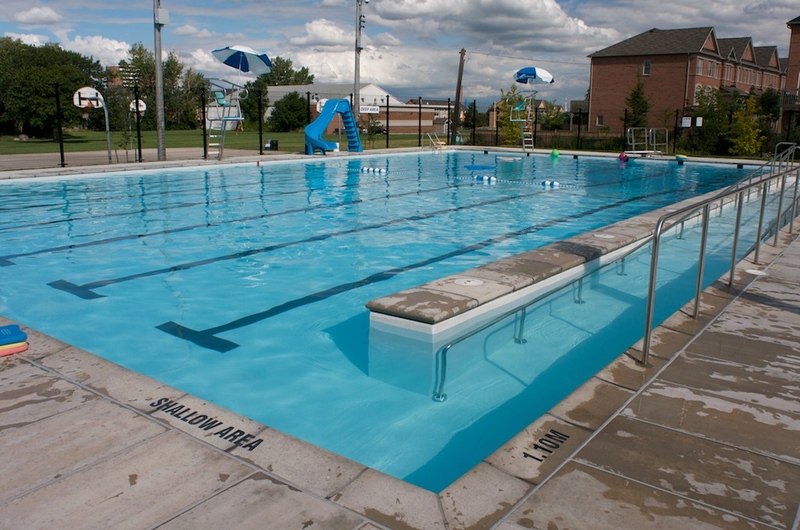 Meadowvale Pool is a 25 metre, 6 lane, rectangular shaped pool with a diving board. The warm water therapeutic pool features a hydrotherapy bench and a maximum depth of 1.8m (6 ft). Both pools feature ramps and access via a motorized wheelchair to water lift. A height adjustable change table and hoyer lift are available in the family changeroom. River Grove has a 25-metre, 5-lane lap pool with a water spray children's play pool and a 30-person whirlpool located on the deck. Favourite features include a two-storey water slide, extra wide stairs, in-water ramp and a 16-stall family change room. South Common pool is a 25 metre hourglass shaped leisure pool with wide stairs and a ramp for easy access, on-deck and enclosed viewing galleries and a 16 person whirlpool. Terry Fox pool is a 25 metre, 6 lane, rectangular shaped pool with a warm water therapeutic pool opening in 2012. Features include a 1 metre diving board, a tarzan rope, accessible ramps and community change room with change stalls and day lockers. Spray Pads operate throughout the summer until September, weather permitting. Spray Pads open at 9:00 am, except for Lakefront Promenade Marina Park which opens at 10:00 am. For information, call 3-1-1 or 905-615-4311 if outside city limits. Those with serious medical conditions should be accompanied by individuals knowledgeable of their conditions and responsible for their direct supervision. Bathing/swimming apparel is defined as clean clothing and used specifically for the purpose of swimming. No outdoor shoes permitted on the pool deck. Swim times and dates are subject to change at any time. Schedules may vary on holidays. Please contact your local pool for revised schedules. 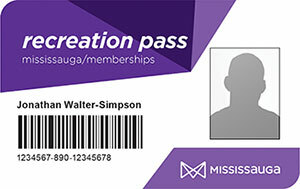 Passes are usable at all city pools and skating rinks. To rent a pool for an event, call 905-615-4100 or visit your local pool for more information. LEARNING TO SWIM is more than stroke development. Find your swim level and choose your swim program . What level should I register in? Ask for a FREE assessment at the pool during a recreational swim. Speak with the deck supervisor on duty. What should I expect from swimming lessons? The Swim for Life Program lets students' progress comfortably at their own rate. Talk about lessons with your child without any pressure to pass a level until they are ready to complete the skills. 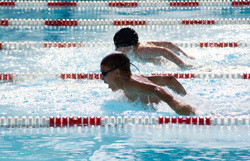 How can I make swimming lessons successful for my child? Go to a recreational swim before the first lesson. Have fun and practice skills your child already knows. Orient your child to the change room, washrooms and pool. Talk with your child about their lessons and don't pressure them to pass a level until they are ready. Children need to progress at their own rate. Consult with the instructor if your child is repeating the level. Bring your previous report card for your new instructor to review. Speak to the deck supervisor on duty. Ask about your child's progress and any areas that you could work on with him/her during a recreational swim. In the event you or your child is unable to attend a class(es), the City regrets that make-up class(es) will not be offered. Why may a program be cancelled? Programs not meeting registration requirements may be cancelled at any time or combined to meet our program standards. Participants with long hair are encouraged to tie hair up or use a bathing cap. All swimmers MUST change from street clothes into clean, gender appropriate swim attire suitable for a public environment. Participants who do not have control of their bowel and/or bladder MUST wear a garment that restricts leakage around the waist and legs. Staying in the hot tub for more than 15 minutes may be excessive for some individuals. Over exposure may cause fainting. Cool down periodically and leave the hot tub if nausea and/or dizziness occur. Follow the lifeguard's instructions in regards to the use of the hot tub. Pool fouling's can close our pools anywhere up to 24 hours. Help us stop the risk of spreading germs and reduce the number of closures. Don't feed your children before swimming. Take a cleansing shower with soap and water before entering the pool. Visit the washroom before swimming. Children not toilet trained must wear swim diapers made for swimming pool use. Disposable regular diapers are NOT permitted in the pool. Don't spit in the pool, on the deck or in the shower areas. Street shoes NOT allowed on the pool deck. Individuals with serious medical conditions should be accompanied by a person knowledgeable of the condition and responsible for their direct supervision. To make sure the supervision of children at the pool is a high priority for guardians and staff, a colour-coded wristband procedure has been put into place. Please note: The wristband procedure is in effect this spring at River Grove Pool. Watch for the implementation of the wristband procedure at all pools by fall 2019. 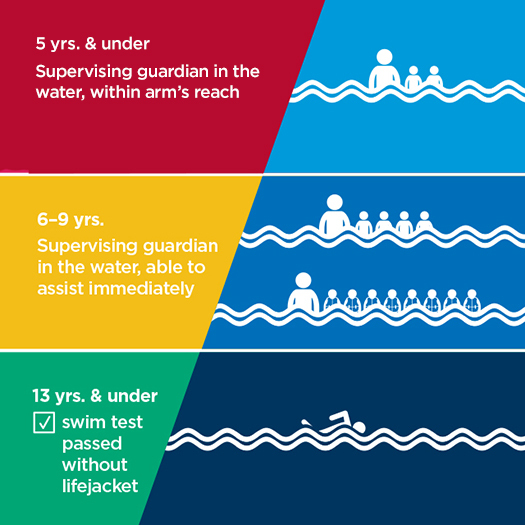 The red wristband applies to children 5 yrs & under and MUST be supervised in the water and within arm's reach, regardless of swimming ability. Maximum 2 children per guardian. The yellow wristband applies to children between the ages 6 and 9 who cannot complete the swim test and MUST be directly supervised, in the water, and able to render immediate assistance. Maximum 4 children per guardian. This ratio may be increased to 8 per guardian if all children are wearing Ministry of Transportation approved lifejackets. Guardian is responsible for their direct supervision, must be in the water and able to assist immediately. The green wristband applies to all swimmers who successfully complete a swim test and can swim in the deep water without a Ministry of Transportation approved lifejacket. Children 13 years of age and under must complete the swim test to swim in the deep end without a lifejacket. Even with formal supervision on site, such as a lifeguard, as the parent/caregiver, you are always the first line of defense. The best thing you can do to protect your kids from drowning is to actively and consistently supervise them when they are in or near water. If you've got kids, attentive supervision is your job. Click here to view Swim Schedule. A swim membership is a great way to enjoy swimming on a regular basis. Purchase a membership and swim at any of our pools throughout the year. 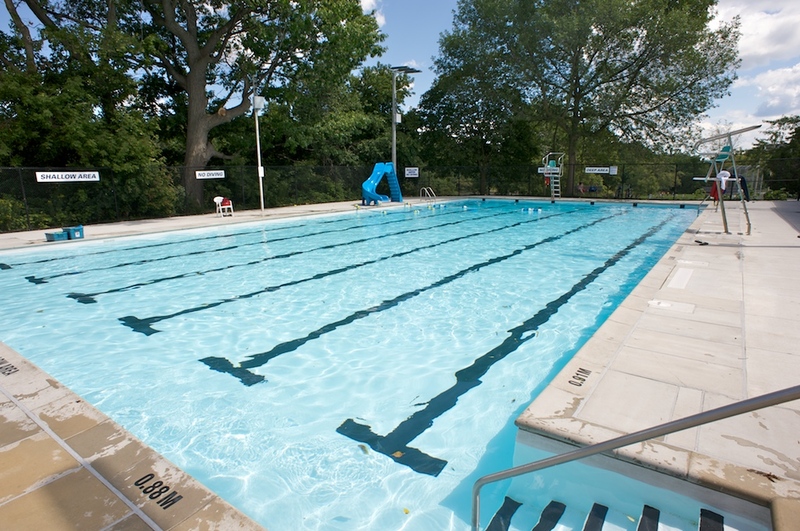 Memberships may be used for all recreational swims including lane, fun and family swims. 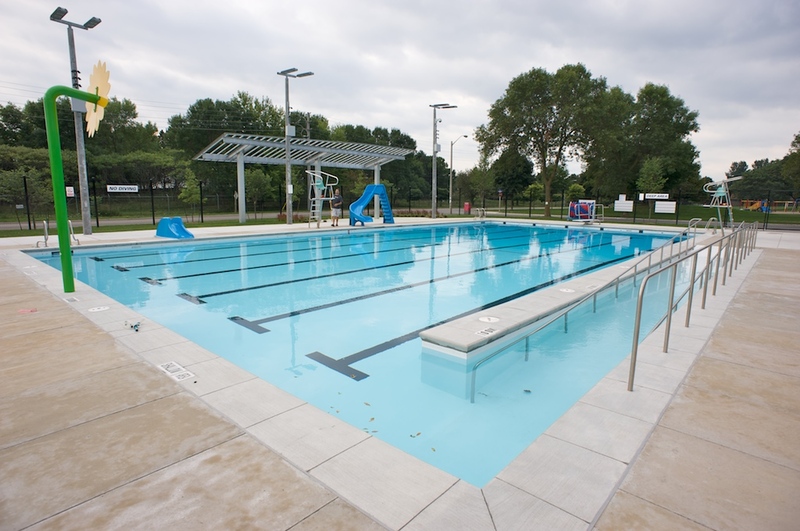 For swimming facility information, see outdoor or indoor pools . hot tub usage recommendations, and change room information. Prices are subject to change as of April 1st, annually. Choose from a variety of water exercise and therapeutic programs available in our pools all year. 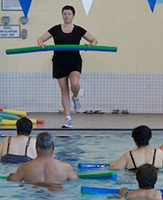 We offer a wide range of programs from Gentle Aquafit to Aquatic Boot Camp. The Cardiac Health Foundation of Canada, Ministry of Health and the Ontario Trillium Foundation have endorsed select programs which are most suitable for individuals with heart disease. Heart Wise Exercise Programs can be identified by finding the logo advertised with one of our program offerings. Read More on the Heart Wise Exercise program and research. These criteria could cover a variety of different types of programs at different levels of intensity. Please read the program description provided by the facility to find the Heart Wise Exercise Program most suitable for you. If you are unsure, please contact the community center where the program is offered. Our qualified Aquatic Personal Trainers provide a customized workout program utilizing the weightlessness of water to help you achieve your goals. Training sessions are also suitable for people requiring hydrotherapy as per doctor's instructions. Our Personal Training services are Heart Wise Exercise designated. The City of Mississauga's recreational therapeutic services help meet the physical and social needs of our diverse community through post rehabilitation programming for those living with chronic or acquired conditions and limited mobility. We offer a variety of programs in our therapeutic pools and fitness/active living centres for people in rehabilitation for for those who wish to maintain a healthy and active lifestyle. For more Therapeutic Recreation information, click here . Welcome to the 2019 season. Check out this year's meet schedule. Citi*Swim is a team oriented introduction to competitive swimming. It offers the opportunity to learn skills and improve fitness for youth. By belonging to a team, each person enjoys learning to swim faster by challenging themselves to improve personal best times in swim meets. Citi*Swim is based upon the values of fair play and allows each swimmer an opportunity to contribute to his/her team. The program includes stroke and skill improvement and physical training. 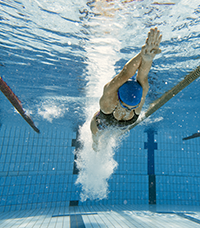 Participants should be able to efficiently swim one length of the pool. Practices will be held 2-3 times per week for a total of 3 practice hours a week (hours may be reduced due to holidays). Full Summer, Weekly, or 2 week registrations available. For full schedules and to register visit activemississauga.ca . Team-building activities are included in every practice and swim meet, so every team member feels welcome and included. Points are awarded for personal best times, teaching each child to value their individual achievements. 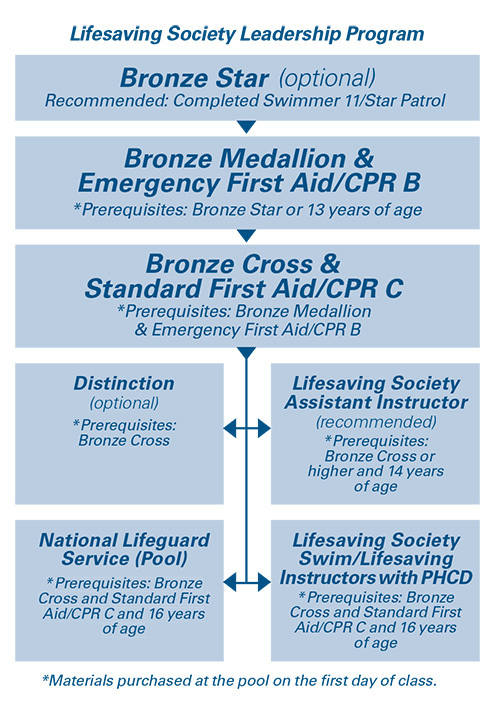 Did you know that qualified aquatic staff especially lifeguards and swimming instructors are frequently in high demand? 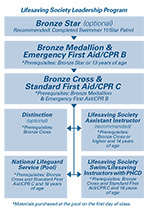 Open the doors to learning opportunities and rewarding jobs in Aquatics by developing your skills in lifesaving techniques, teamwork and leadership. Quick overview of what's on the Leadership report card and see what you will learn. On the right is the updated progression chart for courses and prerequisites you will need to advance your skills (click to enlarge). 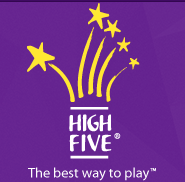 The City of Mississauga is committed to improving the quality of our children's programs by training our staff in the standards of HIGH FIVE® Principles of Healthy Child Development ( PHCD ). Learn more here . Click here view current opportunities and apply online. For details on becoming a certified Aquafitness or Aquatic Therapeutic Instructor, call your local therapeutic pool and speak with the pool supervisor. Indoor warm water Therapeutic pools are located at Clarkson CC, Huron Park RC, Malton, Meadowvale CC and Mississauga Valley CC.